(Bloomberg) -- Olivia Lum is running out of time to save the company she spent a lifetime building. The founder of Singapore-based water and power company Hyflux Ltd., which could see its court protection from creditors expire at the end of the month, has had a torrid two weeks. A white-knight takeover that might have kept the company together has collapsed, hundreds of angry creditors protested in public, and the government appears set to step in and take over part of the company’s biggest asset for nothing. 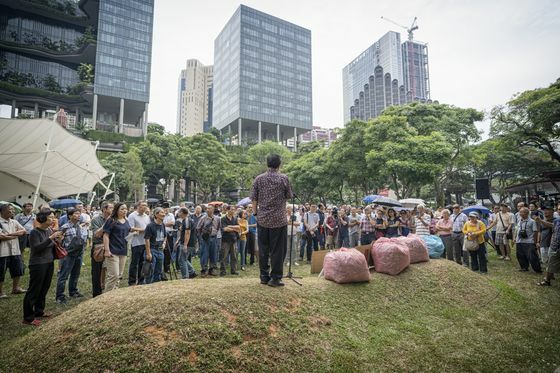 Saddled with S$2.8 billion ($2.1 billion) of unsecured claims and default notices, Hyflux is teetering on the brink of insolvency, leaving thousands of bondholders who stand to lose their money wondering how such a highly respected company could collapse so fast. At the center of that question is Lum, 58, an orphan who went from abject poverty to build one of Singapore’s most successful home-grown brands. In the process she garnered the praise of Singapore’s Prime Minister Lee Hsien Loong when he opened the nation’s biggest desalination plant in 2013, and made a personal fortune currently valued at $200 million, according to Bloomberg estimates. Lum’s schedule is now extremely packed and she’s unable to comment for this story, a Hyflux spokesperson said in an email. Olivia Lum Ooi Lin’s rags-to-riches story has been told many times. Abandoned at birth in the district hospital of Kampar, a small town in Perak state in Malaysia, she was adopted by a widow whom she called “grandmother,” according to her biography in Singapore’s National Library. Her foster mother was kind to her, but was a compulsive gambler, playing mahjong for hours on end. As she lost money, the family had to quit their terraced house and garden for a hut with a metal roof and bare-earth floor. The young Lum earned money by weaving baskets, playing the clarinet in funeral processions and selling sandwiches and food to classmates at school, where she proved to be a talented student. At 16, on the advice of her teacher, she moved to Singapore to get a better education, bunking with migrant workers from her hometown. Good grades got her a place at a top senior high school and she paid for her accommodation and studies by tutoring other students and working as a promoter in department stores. She spent her weekends driving to hospitals in Malaysia on her 150cc Suzuki motorbike to visit her sick foster mother, who died while Lum was taking her final exams. Despite her grief, Lum won a place to major in chemistry at the National University of Singapore and went on to join Glaxo Pharmaceuticals as a chemist, where she learned about water treatment. Her salary allowed her to buy an apartment, which she sold three years later, raising S$20,000 to start her own company, Hydrochem, according to Hyflux’s website. With two other staff, Lum knocked on doors of factories in Singapore and Malaysia to sell third-party water-treatment equipment. The company expanded into China and by 1999 had developed its own technology using hollow-fiber ultrafiltration membranes. Lum had to persuade corporations that her unknown Singapore brand could compete with big established names. One of her first customers was Singapore’s bird park, which had just acquired “some very, very expensive Emperor penguins,’’ Lum told students at Yale-NUS college in Singapore in 2015. The new technology was the breakthrough that would transform the company’s fortunes, allowing it to bring proprietary technology to a market that was under increasing pressure to meet stricter environmental standards in Asia and gain new fresh water supplies in the Middle East. In 2001, the re-branded Hyflux Ltd. held its first public share offering, raising S$6.8 million. Within three weeks of the start of trading, shareholders had doubled their money. 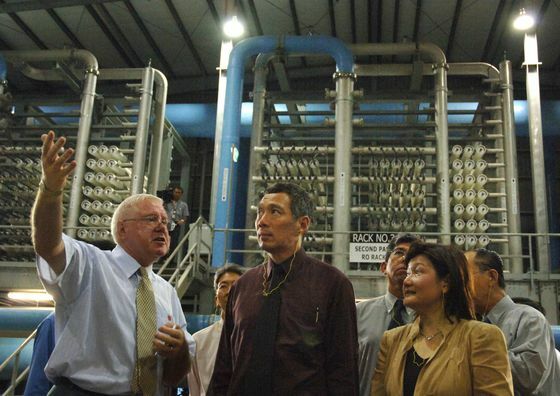 The same year, Hyflux won its first contract for a municipal water treatment plant in Singapore. By now Lum was a high-flier, lauded by politicians, business groups and the media as a model female entrepreneur. 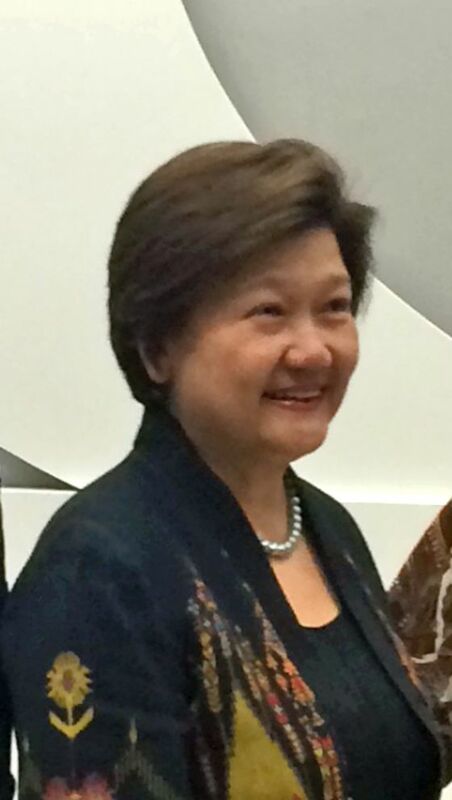 She became a nominated member of parliament in Singapore, one of a handful of lawmakers appointed by the President. At its peak, her net worth was about $500 million, according to Bloomberg calculations. While Lum’s early days were spent selling to clients, she remained a scientist at heart. In a 2002 interview with local magazine Her World, which named Lum Woman of the Year, she said the only department she micromanaged was R&D, which still reported directly to her. The poor orphan had achieved all the trappings of wealth – a Mercedes-Benz, Gucci bag, Prada pumps. She lived in a house with a maid, two dogs, two parrots and a rabbit, according to the magazine interview. But she continued to clock 16-hour workdays, starting at 10 a.m. and holding management meetings at 8 p.m.
And the company continued to prosper. By early 2011, it had a market value of more than $1.6 billion. That year, Lum flew to Monte Carlo to be the first woman presented with Ernst & Young’s World Entrepreneur of the Year award. It was also the year Hyflux won its biggest project: the Tuaspring combined desalination and power plant. By the time the facility opened in 2013, Hyflux’s expansion was in full spate, especially in the Middle East. The following year, the company announced agreements to build facilities in Oman and Saudi Arabia. Then oil prices collapsed. In less than seven months, crude fell 60 percent and Middle Eastern states began to stall or cancel infrastructure projects. For some companies doing business in the region, payments were often delayed and new contracts dried up. Lum’s risk-taking approach and determination to expand the business had resulted in massive borrowing. To fund Tuaspring, Hyflux raised more than S$1.4 billion in bank loans, perpetual bonds and an issue of preferred shares. Just as a drop in oil prices affected the construction industry in the Middle East, it was a slump in power prices in Singapore as the government deregulated supply that proved the Achilles heel for Hyflux. The Tuaspring project was conceived with the idea that the plant would earn revenue by selling excess power to the nation’s electricity grid. But as power prices fell, the plant began to lose money. Among those who helped fund the plant were some 34,000 individual investors who now stand to lose almost everything. Lured by the promise of a 6 percent annual return forever from a company that was run by one of the nation’s corporate superstars, many invested their retirement savings. Lum remains positive and is holding up well, according to two people close to her, who asked not to be identified because the matter is private. One of them said she feels bad about what happened to the individual investors and wants to do something to help them. On Feb. 16, she offered her stake of 267 million shares and securities as part of SM Investments’ proposed restructuring plan. With the collapse of the deal, Lum is trying to see what else she can do, one of the people said. Lum is running out of options to turn it around. Hyflux has said it is working with key creditor groups and relevant stakeholders to find a way to pursue alternatives after the SM bid failed. But with the court protection deadline looming, Oversea-Chinese Banking Corp. credit research suggested that the likelihood of liquidation had increased. While that may do little to ease the pain of the investors, Lum herself cashed in part of her stake back in 2005, when the stock was near its peak. Property records show her real estate holdings include a two-story house with swimming pool and underground parking that she built on a 2,107 square meter plot on Dalvey Road, in one of the city’s richest neighborhoods. While Lum remains financially well off, the empire she spent a lifetime building is coming undone. The company’s dramatic rise and fall has prompted questions about Singapore’s business culture and the readiness of individual investors to back projects that seem to have the seal of government approval, often without understanding the risks. In a note on April 8, S&P Global Ratings warned that more defaults could occur in Singapore.